We are a leading Exporter of fdm prototyping services from Pune, India. Using FDM Prototyping Services or Fused Deposition Modeling (FDM) Technology, we digitally manufacture your prototype directly from an STL drawing file. 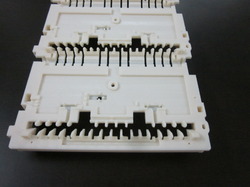 FDM Prototype Services are made in ABS material, which has excellent strength and surface finish. With this process, your prototype will be as if it were injection molded. Looking for FDM Prototype Services ?